for $429,990 with 3 bedrooms and 2 full baths, 1 half bath. This 2,056 square foot townhouse was built in 2018 on a lot size of 0.02 Acre(s). Why wait for new construction? Have it all without the wait! 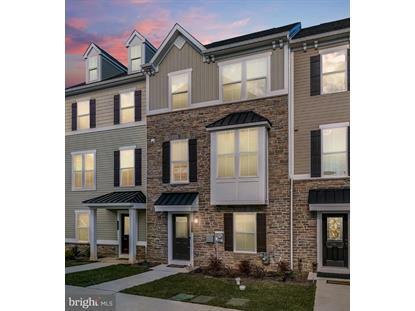 This 6-month-old townhome is completely upgraded and MOVE-IN READY! Great opportunity to own THE LARGEST floorplan, the Strauss, located right on the courtyard and just a few steps away from the playground, dog park, and walking trails! This Strauss offers generous living spaces with a functional, open floor plan. Enter through the foyer where you will find an office with elegant french doors, and a generous storage closet. Access to the spacious 2-car garage is also on this level. The main level is wide open with 9 ft ceiling and wide plank hardwood floors throughout. The modern, gourmet kitchen features an oversized 9~ center island with room for additional seating, contemporary espresso 42" cabinets, granite countertops, and upgraded stainless steel appliances including a gas range with a double oven. The dining room features a hutch with glass cabinets, 2 large windows, and a double patio door leading to a 200 square foot maintenance free composite deck. The main level also features ample LED lighting throughout, and custom motorized blinds. Upstairs boasts 3 bedrooms, 2 full baths, and a laundry room. The luxury owner's suite features a walk-in closet and en-suite bath with a luxurious soaking tub and glass stall shower with a seat. 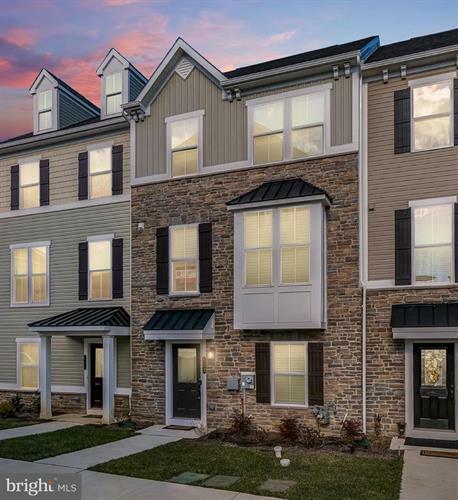 Come see why this is the most desired community in Malvern, conveniently located near the PA Turnpike, Rt 202, 29, & 76, and within walking distance to a Wawa, Bryn and Danes, Naf Naf Grill, Chesterbrook Academy, a wine bar, and more! Plus, you are in the highly ranked Great Valley school district. Better than new construction- this is not to be missed! ***DIRECTIONS (use GPS 681 N Morehall Road to get to neighborhood. Continue straight through the roundabout into the community, take first left at stop sign onto Patriots Path, then first right onto Dallett Lane (then left). Public parking is on the side of the building. Use sidewalk to get to front door (off of courtyard).